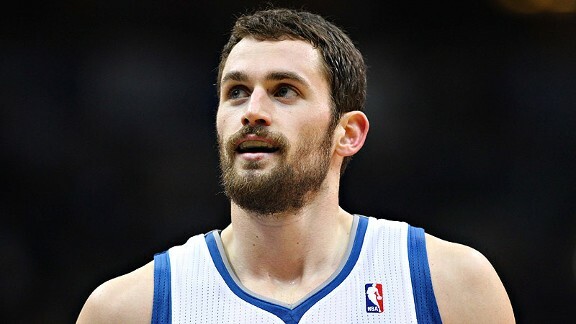 This past weekend, All-Star forward Kevin Love released a statement saying that he does not intend to sign an extension with the Minnesota Timberwolves. According to the walking double-double, two teams that he has expressed serious interest in are the Golden State Warriors and the Chicago Bulls (!!!!!!!!). 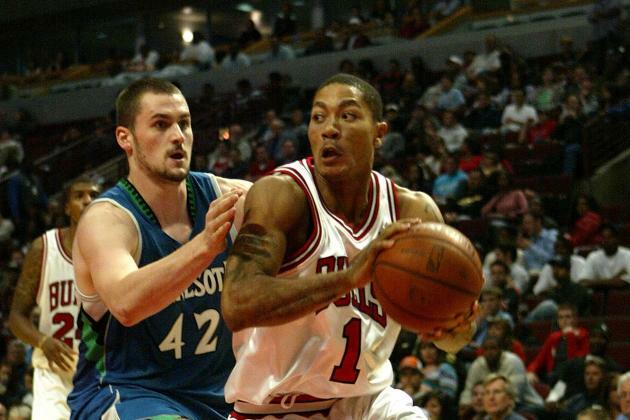 There have been rumors over the years that K Love has wanted to come to Chicago to play alongside Derrick Rose, possibly because they have spent many summers together in L.A. working with trainer Rob McClanaghan. Not only do I think Love would be a perfect fit in Chicago, but I also believe that he could be the key piece that makes us a true championship contender. People have criticized Love since he’s been in the NBA for not being able to take his team to the playoffs even though he clearly played in the tougher conference. Do I believe an organization could build a team around him? With the right supporting cast yes, for sure. Majority of his teammates in Minnesota were very below average, making it very difficult to have any sort of success at the NBA level. Personally, I don’t consider K-Love as a super star in today’s NBA, mainly because I classify the term “superstar” as being a two-way player. (i.e. James, Durant, Dwight?) He is a below average defender who tends to get very lackadaisical on that side of the ball. Even if he is not of superstar status, I still very strongly believe that Love is an elite player. Over the past two seasons (not including 2012-2013 due to his wrist injuries), Love has averaged 26 points, 12.5 rebounds, and also averaging just over 45% from the field. This is a great field goal percentage for Love because he is one of the few big men that are deadly from three-point range. (around two 3PM per game) Having a big man that is able to stretch the floor has become quite the luxury in the league as of late, which is another reason why I am a huge supporter of getting him into a Bulls uni. In order for Chicago to acquire Kevin Love, it will most likely have to happen via trade. It would be a huge mistake for the Timberwolves to let Love walk next year without getting any value for him. 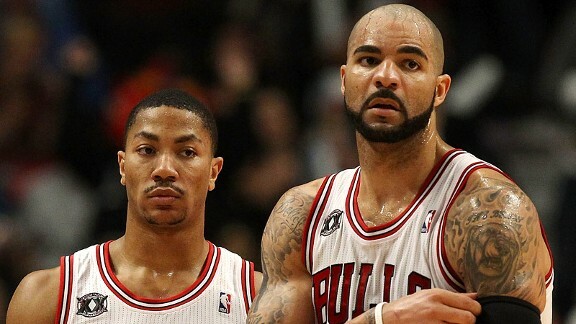 If I’m the Bulls, I am wiling to part ways with anyone on the roster not named Rose or Noah. Jimmy Butler is a fan favorite and Taj just had a great season, but you cannot pass up on players of Love’s caliber. We would also have to give up a few current/future draft picks, but the Bulls should be in a win now mode and should NOT be messing around. With a big three of Rose, Love, and Noah while surrounding them with a solid supporting cast, the sky would be the limit for this team. The Bulls need to make a serious splash in the near future, and acquiring Kevin Love would definitely satisfy that. For all you Game of Thrones fans out there, this video is absolutely hilarious! Boozer! 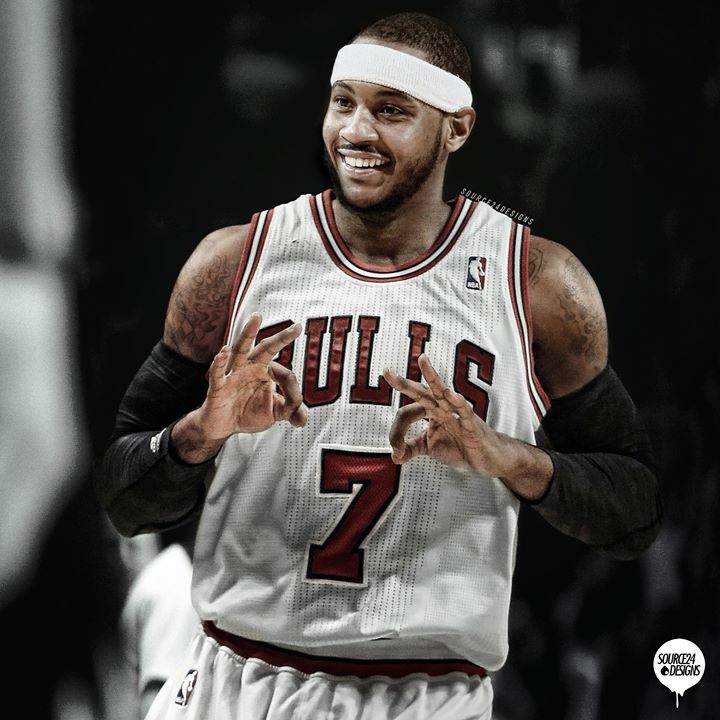 Should the Bulls Make the Move on Melo? Rumors have been swirling around the league for the past few months about a possible Chicago destination for the talented scorer Carmelo Anthony. The Bulls have been making moves to clear up cap space (trading Deng, Most likely using the amnesty provision on Boozer), so Chicago might actually be serious about making a splash either by the trade deadline or in Free Agency. Hoops-nation.com recently released an article discussing a possible trade scenario between the Knicks and Bulls that if were to be completed, would occur by the February 20th trade deadline. Personally, I think this trade just seems to good to be true. Although we are dealing with a New York team that is known to have an extremely unstable front office, I just don’t see the Knicks agreeing to a trade where the return on their superstar really isn’t all that high, but honestly who really knows with this organization. In my mind, Jimmy Butler most likely won’t improve too much more, Tony Snell is still very young and not a sure thing what so ever, Kirk Hinrich is OLD, and Boozer is well, Boozer (sorry booz, I still love you “GIMME DAT!”). Many bloggers, Super Fans, and writers are questioning the Bulls for pursuing Melo, saying that he doesn’t have that drive to win or have the capability to play in Thibodeau’s system due to his poor defense. Personally, I believe a team should do whatever it takes to acquire a superstar. Obviously we won’t part ways with Rose or Noah, but everyone else on the roster should always be on the trading block (Rule #1: Don’t fall in love with your own players). The league today is the most talented it has ever been from top to bottom, so being able to have multiple superstars on one squad is an absolute luxury and should be a goal for many organizations. 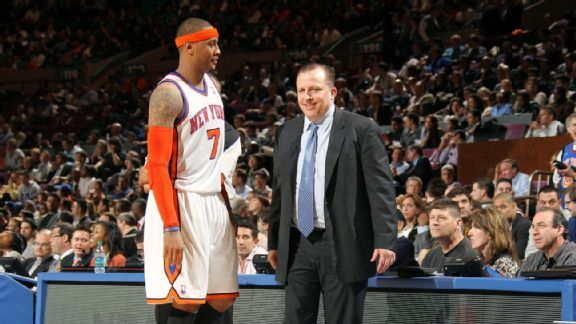 In my opinion, Melo would flourish in Thibs’s system. I know I make fun of all my NY buddies for having a superstar like Anthony on their team, but I honestly think he would be a great fit in Chicago. Carmelo has a lot of respect for Tommy Thibs, most likely due to spending a lot of time together in the offseason during USA tournaments and practices. That being said, there is no doubt in my mind that he could at least turn Melo into an average defender (he turned NateRob and Belinelli into average defenders!). Thibs is clearly a winner, and he could definitely turn Anthony into one as well. 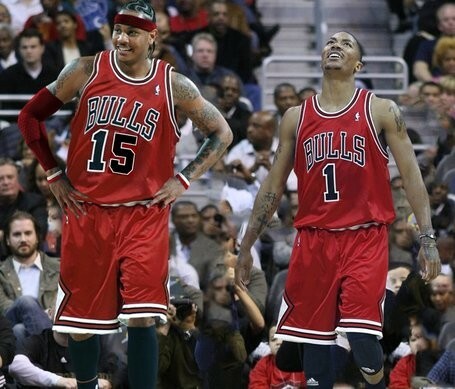 As long as Carmelo will buy into the Bulls system, there is no reason why these minor changes couldn’t turn into reality. Carmelo is a bonafide scorer, and anyone who can put the ball in the hole with such minimal effort should deserve a spot on any team, especially one that tends to struggle at times on the offensive end throughout points of the game. Anthony would take a huge load off of Rose’s shoulders, making his life a whole lot easier. He would also instantly turn the Bulls offense from a good one to a GREAT one. If the Bulls can’t strike a deal by the deadline, then they should do whatever it takes this offseason to get him in a Bulls uni. Please Gar and Pax, be aggressive for once and shock the league! After watching the game last night, I’d be a liar if I said I wasn’t pretty bummed out. We found out an important thing last night: the Indiana Pacers are the real deal and are going to be a tough squad to take down this year. They solved their big issue of having a weak bench this past offseason by adding Scola and Watson, and their superstar Paul George seems to just keep getting better, showing no signs of slowing down. Oh, and I forgot to add Roy Hibbert is just incredible at protecting the rim. Now, I am not saying that the Bulls can’t take down this Pacer team, but I did notice a few problems that Chicago may run into in the future. Through the first 4 games of the season, the Bulls have shot a miserable 25% from beyond the arc. The league has become much stronger from three-point range the past couple of years, meaning we will have great difficulty to keeping up with good teams this year. Now this low shooting percentage could very well be due to rust, because it is only the first four games. Hopefully, we will start to hit more threes as the season goes on, because this will only lead to more driving lanes to Rose and our slashers. If we don’t, it will only make it harder to contend with the powerhouses of the East. Carlos Boozer showed us the first few games that he could possibly be the secondary scorer we needed him to be this year. Unfortunately, he went back to his old ways yesterday, scoring only 6 points and making the offense for the Bulls very average. Obviously, Rose is the focal point of opposing teams’ defenses, so it is imperative that we have a secondary scorer (who creates their own shot) to take the work load off Rose, as well as not allowing defenses zone in on him only. Getting someone like Gary Neal this past offseason would have been huge, or even being able to find a way to keep Nate Rob around (sadly we had no moneeyyysss). Jimmy Butler is capable of taking that next step, but he still might be a season or so away. It’s not a good sign that Noah has already had some injury setbacks so far in the season. Our team will most likely go as Noah goes, because we don’t have any Big Man depth. Although we are way more well off than the New York Knicks, it still creates a huge problem if our All-Star big man is dealing with injuries all year. 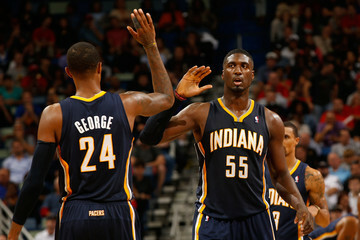 There is no chance that we will be able to keep up with the Heat, Pacers, or Nets without Jo. But since our backup center is old man Nazr, Thibs is pressured to play Noah heavy minutes. By midseason, we need to find a serviceable big man to lower Noah’s minutes so he can be at full strength come playoff time. Not a lot of schoolwork got done this week for one main reason: THE NEW NBA 2K CAME OUT ON MONDAY. This date has been circled on my calendar for quite some time, and I’m too stoked that it’s finally out. Many stores were sold out, but I was fortunate enough to snag the last one at the Target in B-Town. Get this game ASAP if you can guys. It’s actually pretty scary how much more this video game is turning into real life hoops. One thing for example is that you can’t just hold RT, put your head down, and expect to get to the basket. You will actually lose the ball, which obviously makes the game harder for the guys that don’t know how to score. Another great new addition is the improved game play around the rim. The blocking is unreal, making it a lot harder for smaller guards to take it into the trees. This year’s game also lets you meet opposing dunkers at the rim, as well as chasing opponents down on fast breaks (So Bron Bron). One part that I really like is how well some of the players absorb contact. And 1’s happen on a consistent basis, which allows the stars to take over a game. This years video game is way more realistic and the flow of the game has improved drastically. The guys at 2k did a great job. The first time I played the new 2k, I blew a ton of layups and did a fancy pass instead. Although it looked really cool, it definitely made me lose about 10 points. The left Trigger is no longer needed while you shoot, so make sure you are aware of this is you haven’t played yet. Personally, I feel like once you can stray away from pressing LT, it makes it easier to shoot the ball. It may take a few games and it may be frustrating, but you’ll get used to it don’t worry. In last year’s game, the other players on your team often wouldn’t make the right cuts or wouldn’t slide over to the right position on defense. These guys are NBA players; they should know where to be at all times! 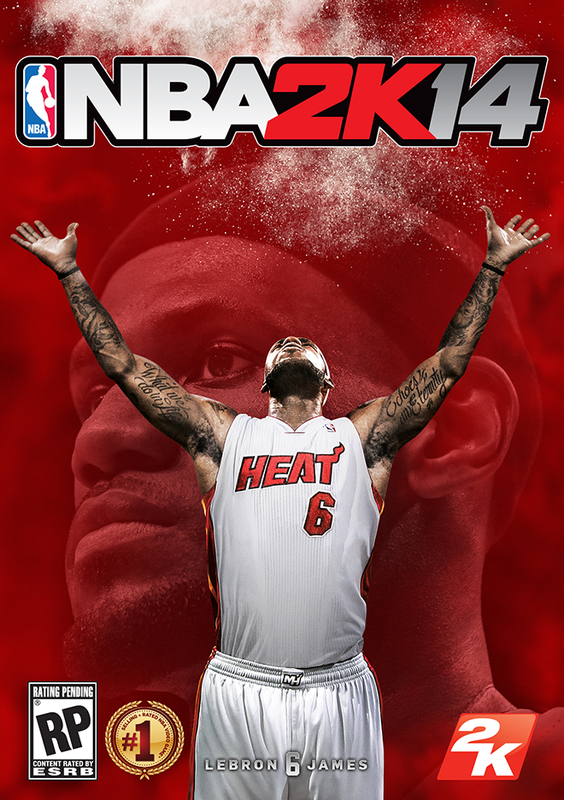 This was a key improvement to 2k14. You shouldn’t be frustrated with your other teammates for not being in the proper spots or helping you out off the ball on the offensive side. Good slight adjustment. The following teams are some of the squads I have enjoyed playing with thus far. These aren’t necessarily the powerhouses of the game (Clippers, Thunder, Heat, etc. ), but you can definitely get a W against your boys with them. By the way, in my previous article I said the Pelicans would be a fun team to play with. I WAS COMPLETELY WRONG! NO ONE CAN SHOOT AND ERIC GORDONS SHOT IS NUTS! Kevin Loves finally back, and with the addition of Kevin Martin this team is lights out. Rubio drops the sickest dimes, getting you to actually jump out of your seat mid game. (Cool Passes=LT+Right Stick) Pek holds it down in the paint and K-Loves stroke is so easy anyone can do it. Try them out. I know this might sound crazy, but they actually aren’t a bad team to run with. Marcus Thornton is an offensive stud(JR Smith Type, bangs treys and takes it hard to the rack) and obviously Stav’s boy the Boogie man is very good. Ben Mclemore is great for a rookie, and make sure you put Isiah Thomas in for Greivis for some extra three point shooting. This team obviously goes as John Wall goes, but with this size and strength along with the shooters around him (Porter and Beal), this team is actually pretty solid. Pair all of that with the superb rebounding of Okafor and Nene, and you have yourself a very well rounded team. Wall is incredibly fast with the ball and finishes nearly everything at the rim. So go out there and buy the game. Trust me, it’s worth the money. 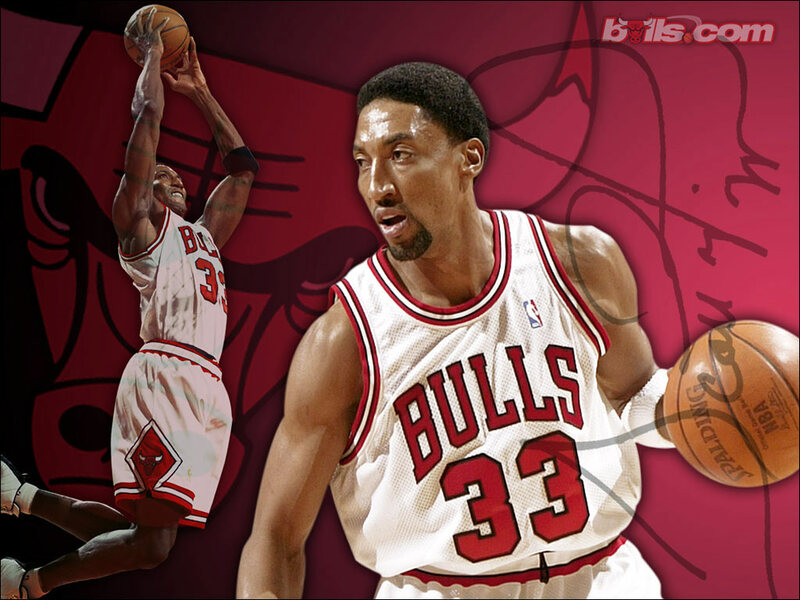 In honor of the great Scottie Pippen’s birthday, here are his top dunks throughout his career.